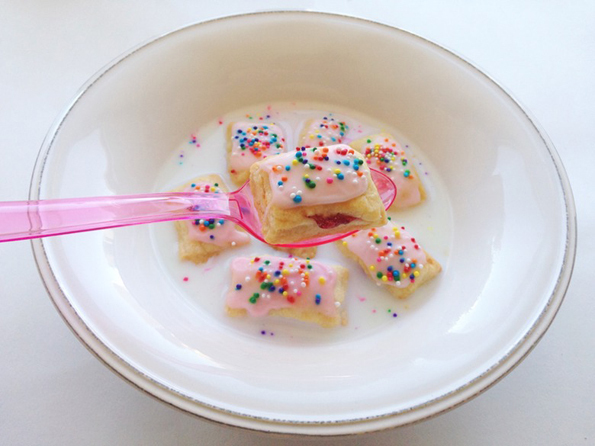 Bustle posted a recipe for Pop Tart Cereal. Clearly they are doing the good Lord’s work. I mean, everyone knows that Pop Tarts and cereal would make the cutest babies. They would be sooo attractive. Like when Angelina Jolie and Brad Pitt started cranking out kids. Except food. Or maybe that’s the tequila talking. I started early! Just kidding, I never stopped!